Many medical and laboratory products are made from plastics and mostly they are manufactured overseas and imported at enormous cost. Plasweld is often asked to repair or replace various types of medical and lab equipment which we do at a fraction of the cost. Plasma thawing tanks, Oedema Volumetetric gauges, orthopedic foot rests and arm rests as well as humi-crib panels are just a few examples of the products we have made. 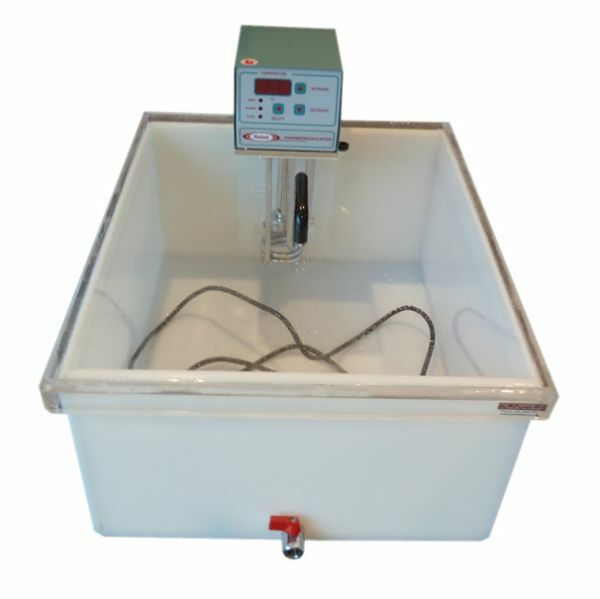 The pictures on this page have details on elevated mouse maze, acid resistant lab sinks, Y mouse maze and more. 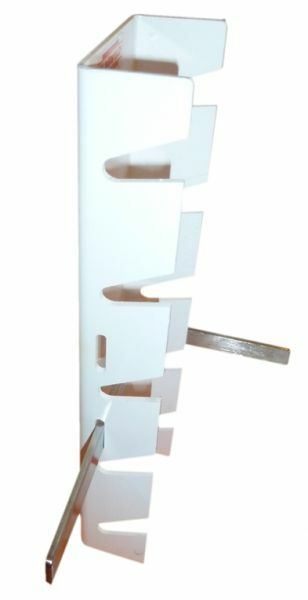 We made these brackets for a hospital to enable them to hold hand cleaning dispenser bottles. 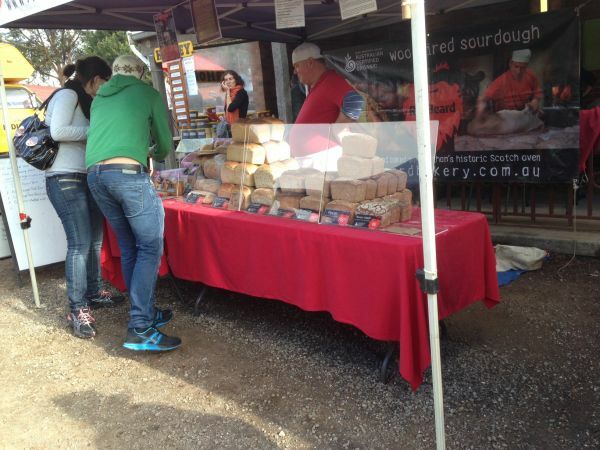 There was nothing on the market to suit so we simply whipped up a few for them. 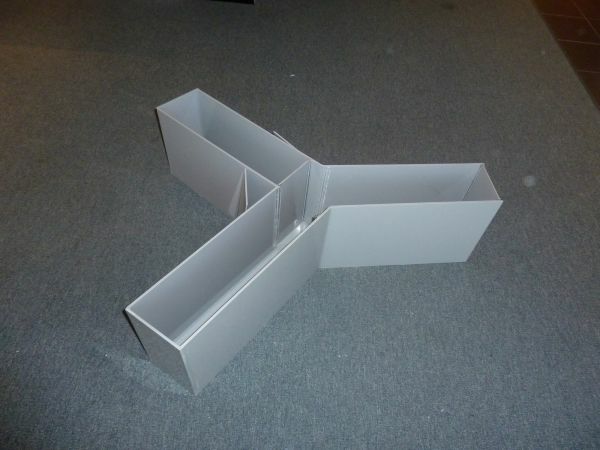 We made this Mouse Maze based on a design given to us by an Australian University. 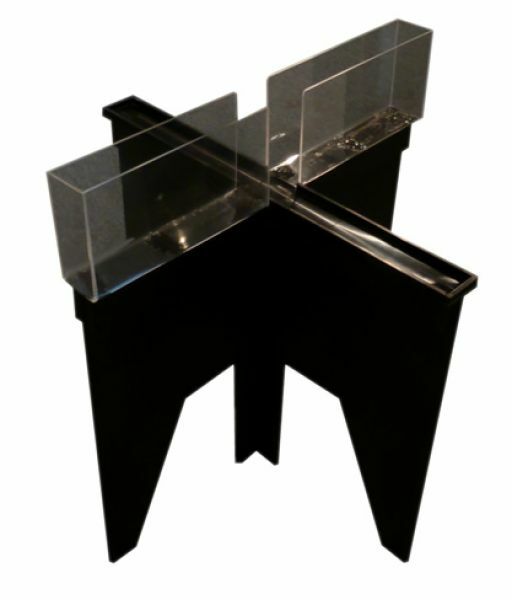 It is 650mm long in cross shape and has a 150mm x 50mm clear acrylic walled section with an opposing 50mm wide 'wall-less' black acrylic runway. You can see that we have put a small ledge on the black runway to stop 'mousy' falling off. Apparently, if we can understand the behaviour of mice all our problems will be solved! 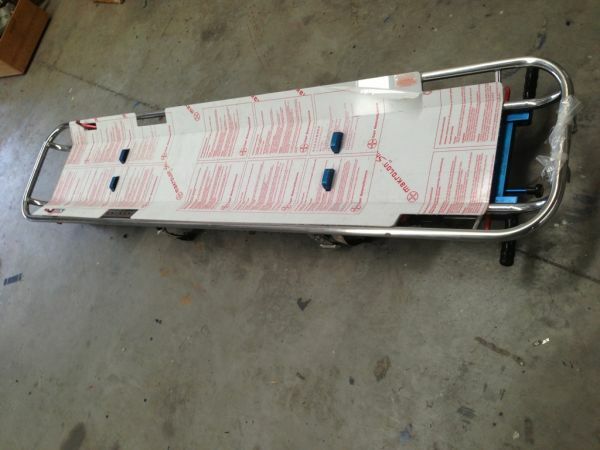 A hospital asked us to repair this foot rest used in orthopedic surgery. Unfortunately we could not fix it however, thanks to our CAD and CNC facility, we were able to make up an identical part for them. And (so we were told later) at about a fifth of the cost of the original! 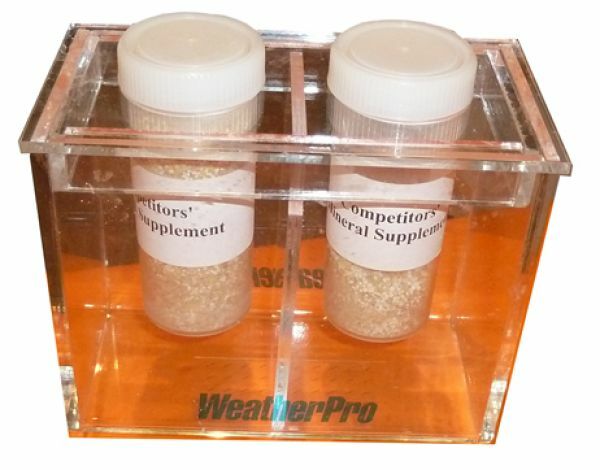 Perspex, water-tight test kit for use in the animal food supplements industry. A large hospital in Victoria was using its hydro therapy pool to teach toddlers how to swim. Unfortunately a child got her leg caught in between the pool wall and the hand rail and so we were asked to come up with a solution for a removable barrier. 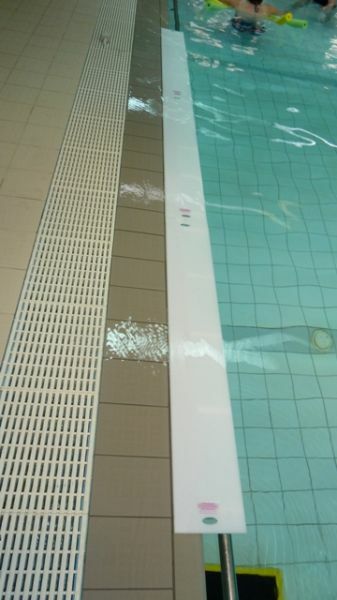 The picture shows a three piece removable poly guard which we made to clip over the rail and bridge the gap between the rail and the pool wall resulting in a kid friendly, safe pool edge. 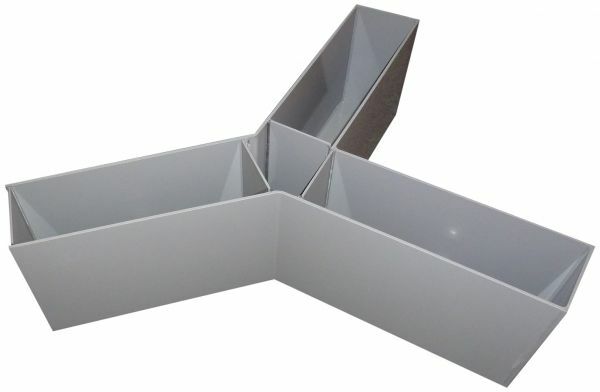 These simple sneeze guards are a great alternative to the traditional cabinet style. 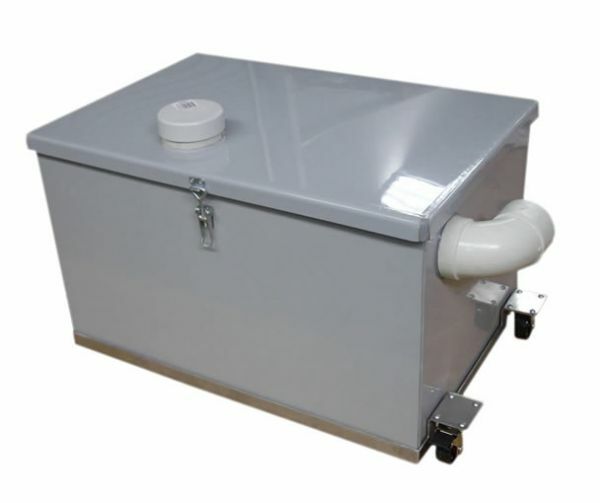 They are easy to transport as they stackable, light weight and modular. Perfect for bread, fudge, nuts etc. These sneeze guards provide a healthy way to display food at farmers markets, hospital canteens, school fetes, council events and so on. 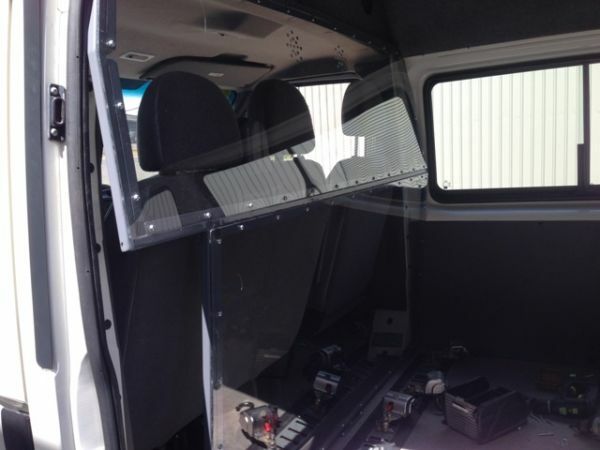 A helicopter operator asked us to make a new polycarbonate insert for their air ambulance. We cut it out on our CNC router and folded it to suit from 2mm sheet. Still has the protective coating on and will be clear once removed. 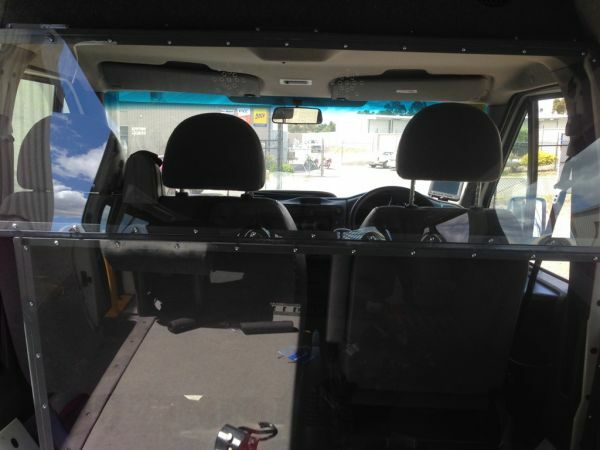 We have a customer in Disability Service who asked us to modify their van to accommodate a passenger with special needs. The brief was to design a barrier which did not look like a cage but still prevented the passenger from interfering with the driver. We custom fabricated a metal frame especially to fit their Transit van and then clad it with clear polycarbonate sheet. We also incorporated some communication points. The screen is designed so that it does not interfere with the repositioning of the front seat, the seat belts or the air conditioning.